Terrified of going to the dentist? If the answer is yes then you’re not alone. Dental anxiety is one of the most common phobias in the world with nearly a third of all adults disliking the dentist. Moreover, 1 in 10 of us have a phobia so strong that we avoid going to the dentist, jeopardising our oral health. With this in mind take a look at the following strategies and techniques to help overcome dental anxiety. Ensuring your dentist is aware of your exact fears and work with them to make your appointment as relaxed as possible. Relaxation techniques: bringing music into the appointment or even having a day to day chat with the dental nurse can effectively take your mind off the dental surroundings. Different relaxation techniques work for different people. Severe dental anxiety cannot always be resolved with the solutions above – yet they can put the patient at a sense of ease. Severe dental anxiety is a psychological phobia that is less due to nerves and more due to fears. This fear can be conquered in a few ways. Counselling: counselling aims to look at what stimulated the cause of the phobia and will try to work through it. Counselling is provided free on the NHS for severe phobias and supports hundreds of people. Support Network: sites like DentalFearCentral have forums that focus on overcoming phobias as well as support groups and recommending dentists. DentalFearCentral is just one of the many support network sites as dental anxiety is very common. Sedation: although it is not the preferred treatment option it may prove to be the best solution to the phobia. There are different types of sedation available. The simplest, oral sedation, is a tablet that is swallowed an hour prior to the appointment. The patient will still be awake yet more drowsy and relaxed. In more cases, there is the option of an intravenous sedation. This is an injection which is administered into the back of the hand. This will keep the patient awake, yet in a relaxed state. 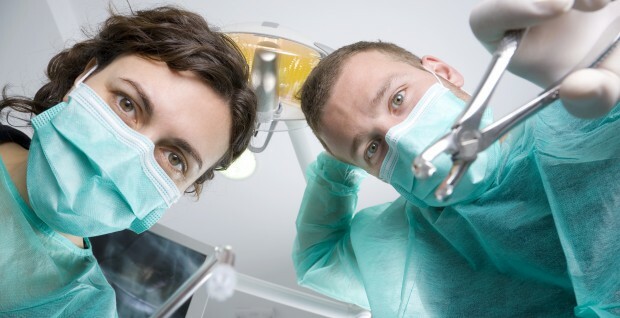 Do you suffer from a fear of the dentist? How do you manage it?